The best part about great rooms is that they can frame in a whole zone of your home that is the most used by your family. The Kitchen, Living Room, and Dining Areas are such active zones of a home that why not eliminate the walls that divide them? This new home in Cambridge, IL built by Evergreen Custom Homes combines beautiful kitchen materials and an extra element to frame the space, incredible views of the countryside. See the full album of photos from this kitchen over on our houzz profile. It’s no wonder why the homeowners wanted their kitchen sink facing towards the Dining Area. When I was at the home to photograph the kitchen, cows were grazing on a hill just outside. The sink and countertops in this kitchen are worth mentioning first on our tour. At first glance did you know that the counters are NOT granite but in fact laminate? That’s right laminate! Notice the sink edge is not sitting on top of the Formica laminate top? This customer chose to upgrade and have a Karran sink under-mounted to the tops. This process can add to your overall cost but when combined with the price of laminate counters you are still well below the entry price for installing actual granite in your kitchen. With such a large layout, a secondary prep sink was added to the wall farthest from the kitchen sink for easy quick access when entertaining or multiple users are working in the space. A glass-front beverage center to its left can also be used for holidays and year-round entertaining while keeping the main prep areas of the kitchen clear from traffic. You will also notice in this image that by installing laminate tops without including the typical integrated backsplash the tops appear more like a slab of granite. The backsplash tile can then be installed in the full 18″ space between the tops and wall cabinets. Pattern, edge style, sink innovations, and backsplash can all help you achieve that granite look with a laminate pricetag. To the right of the prep sink is the built-in microwave and wall oven. In place of a small microwave cluttering up a countertop, this microwave is accessible and sleek. A bottom hinge on the door allows it to open just like a wall oven door and a stainless trim kit has been installed to match the width of the wall oven as well. The appliances in this kitchen are all KitchenAid and have many fantastic features that come standard with the units. The wall oven below has one of my favorite features available in baking today, convection. Convection technology allows for complete consistency of temperature in the entire oven cavity. A fan in the back of the oven and in most cases, an added heating element surrounding that fan keep all areas of the oven at the same temperature and can get it to that temperature faster. Consistent baking with the ability of using all three racks at the same time speaks for itself around Christmas cookie season. Faster preheat times can be achieved when the convection fans are used as well. If you have any questions about convection baking our appliance staff are all experts on the subject and many ranges and wall ovens offer this feature at a minimal upgrade in price. The kitchen in this great room emits such a classic, rich and warm look that years from now it will still fit perfectly in the setting. Warm Cherry cabinets with a black pencil glaze enhancing the doorstyle make this space beautiful. If you have any questions about what you have read or seen in this blog post don’t hesitate to call or contact us to get answers. We recently featured a kitchen here on the blog and over on Houzz and boy did it get popular fast! 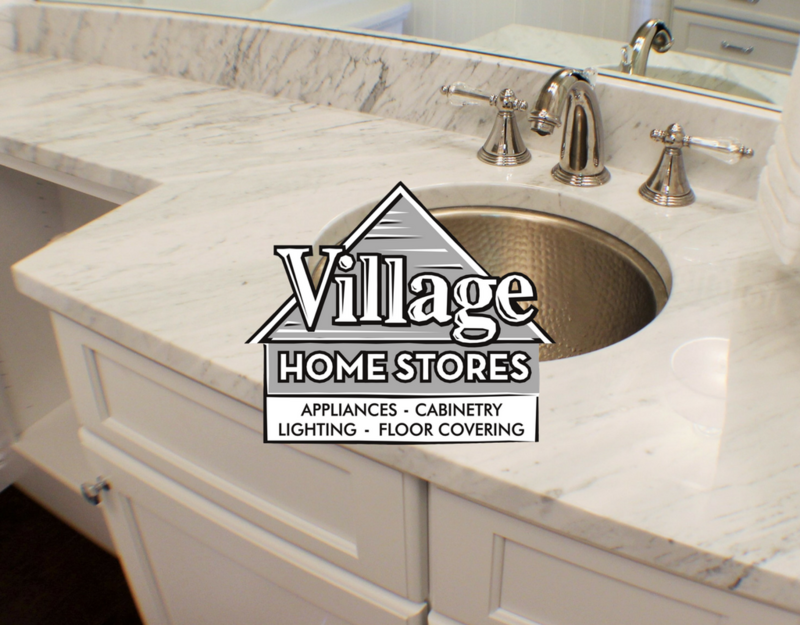 A small hint was made that the bathroom just off of the kitchen was also remodeled at the same time by Village Home Stores. While photographing the kitchen, I kept hearing giggles coming from the bathroom. Two of the little girls were doing their hair and having a grand old time doing so. As they ran in and out it was hard not to notice the amazing wallpaper within the space. Once I was in the room this paper really made a statement! Let it be known that I have never been more challenged in photographing a bathroom and avoiding my reflection in the mirrors. This bathroom has a lot of mirrored glass. This might make for hard photos to get but it truly does make the space seem huge! With mirrors one two main walls, the space almost doubles when you are inside. Above you will see the wall that is directly behind the sink user. This custom armoire area has been installed in the nook that used to house a shower. The shower in the old space was not being used and added storage is always a plus for any busy family. The lighting in this space adds style without distracting from the wallpaper that steals the show. A drum-shaped shade on the vanity 3-light fixture and a semi-flush mount fixture near the armoire area allow plenty of light and complement each other perfectly. With the new mirror spanning the entire wall, mounting the fixture through the mirror just above the sink anchors the sink space and helps designate a “vanity” area of the wall. Keeping the mirror one long unit above and changing depths but not heights below keep the room from crowding up. The vanity sink used to be just a stand alone vanity of the same size. In the new design a “Banjo-shaped” top has been installed to spread the full width of the wall and a change of depth offers open storage for baskets below. While the room may have been cramped with reflections for my photos, the new design uses the unique room layout to its fullest. Beadboard panels installed to the walls and trim keep the room bright. Birch Pearl painted cabinets create a classic look and the wallpaper gives a personal style touch. The wallpaper color photographs like a dark brown but it is a bit lighter in person. Just a few steps darker than the neutral taupes and warm grays in the kitchen, this bold pattern paper made the bath magazine perfect! When we first posted the Before & After images of this Bettendorf remodel on our facebook page we were not surprised by the most common response, “What’s wrong with the Before kitchen?” At first glance, we understand why you may ask that. Check out our Houzz profile for the full album of photos from this kitchen. In the meantime, we want to tell you the story behind the Before & After of this remodel. Many kitchen memories are made right at the kitchen sink, this story begins there as well. A thumbnail view this kitchen looks really great at first glance. In person though, there are many reasons why a remodel would have happened within the next few years regardless. Like many remodel stories, this one begins with a leaking pipe. A reverse osmosis system ended up flooding the floor of the existing kitchen damaging the current floor and the base section cabinets of the island and some of the perimeter. Previous owners had painted the existing oak cabinets a cream color and attempted to add a rub-on glaze to accent the paint. This was not done professionally or with the correct materials. Over a very short amount of time, the cabinets were already starting to show some wear. Notice the door beyond refrigerator and the charging station? That leads to the guest bath. That bathroom deserves a blog post all on its own so stay tuned. Trust us when we tell you it is just as gorgeous as this kitchen. With three young children and busy lifestyle, a functional use of space for this busy family was priority. If you scroll back up and look at the Before image you will notice that the lower section of all the the wall cabinets included a drawer. Not to convenient for the younger members of this family to reach the first shelf above that for a glass or plate. Industry standard is to have that first shelf to be about 54-55″ from the floor. In the original plan the first usable shelf above the drawers was placed at 63″. 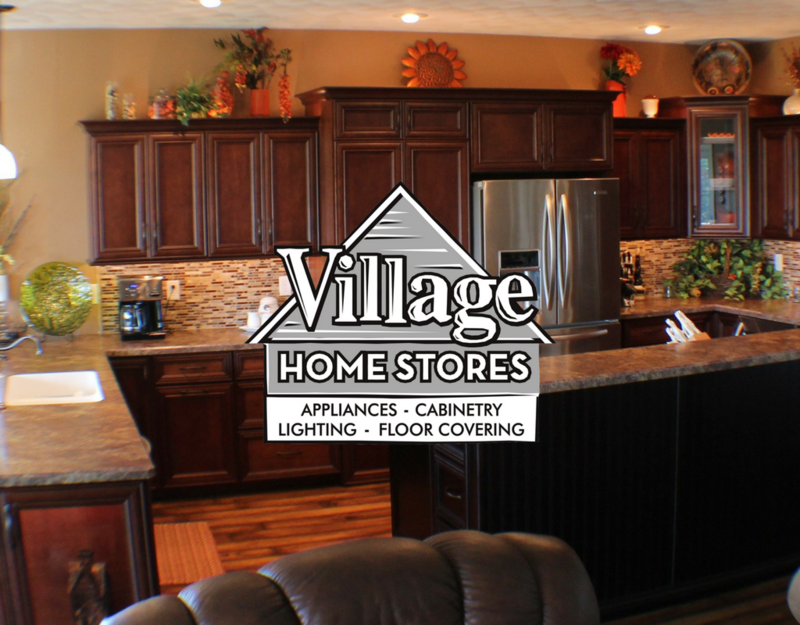 See the new layout designed Village Home Stores for a birdseye view of the new space. The Before picture also shows the old location of the cook top was on the same wall as it is now. The user in the old layout was very crowded by the refrigerator immediately to its right. The cooking area of the new design now includes plenty of prep space on either side as well as a lot of style. The matching wood hood conceals a Broan blower within and this section becomes the main focal point of that facing wall of the kitchen. Pulling the cooktop forward and adding furniture legs and a valance in the toespace draws attention to this whole section of the kitchen from floor to ceiling. Appliances in the original kitchen were miss-matched and crowded. Now a package of built-in KitchenAid appliances along with a Sharp microwave drawer complete the new kitchen. Built-in appliances in better locations now give a high-end look and offer the best experience for the users. A 42″ wide panel-ready refrigerator was the perfect choice. Plenty of storage within and no large panels of Stainless Steel to distract from the overall look. A shallow cabinet caps off the Built-in refrigerator and conceals a kitchen command center area immediately accessed when entering from the garage. Directly behind this command center is an open charging station as well. The cabinetry in this kitchen is from a semi-custom line. By upgrading construction and adding details to the standard cabinets it gives the appearance of a fully custom kitchen. Elements like stacked moldings, furniture valances in the toespaces, and accent legs have been added to give this kitchen that “magazine” look. The overlapping arches of the leaded glass doors is a detail you may see in a cabinet mullion from a custom product. By using a local glass vendor we were able to mimic that style at a fraction of the cost. The palette of colors and finishes all work together. A mix of metals and finishes were carefully calculated by the homeowner and designer and the end result is a stunning symphony of many elements. The perimeter of the kitchen is the Koch “Westbrook” door style. It is a Birch wood painted “Pearl” and an “Umber” glaze has been applied. The cabinet construction has been upgraded to a dovetailed drawerbox on full-extension, soft-closing guides. The cabinet doors also have a soft-closing hinge. Oil-Rubbed bronze hardware by Top Knobs from their “Normandy” collection stand out perfectly with the Umber glaze framing each handle and knob perfectly. Backplates behind the door knobs make a big impact and help reflect the overall style of the space. The large island in the new design is also from Koch. The same “Westbrook” door this time in a Cherry wood has been finished in the “Java” color. The new island has more of a furniture look to it. Access to storage from all sides of the space add function and the Microwave drawer is easily accessible but hidden from first sight as you enter the room. Legs have been added to the raised eat-in area of the Island in the same style as the cook top bump-out area. Hardware has been switched to Weathered Nickel finish to give contrast to the dark cabinet and compliment the stainless appliances. The wow-factor for this kitchen really begins as you step into the whole new space. Looking at a snapshot of the kitchen does show its beauty but seeing the space as a part of the “big picture” is where the real impact is. Now the entire lower-level of this home has a cohesive look. The furnishings in the den, living room, dine-in kitchen area and adjacent dining room all blend into one space that matches perfectly to the taste of the owners. A Quatrefoil shape is repeated in the backsplash and even island shape. Warm taupe and putty colors make a neutral accent choice that will look timeless over the years. “Delicatus” Granite countertops throughout brought the entire look together. If you have any questions about materials or colors you see here or in the houzz album, don’t hesitate to ask. This busy Bettendorf family had an unexpected turn of events that they took as an opportunity to build a dream kitchen perfect for them. We were more than happy to help them design a space that works for them. It is such an added bonus that the customers were a joy to work with and the finished kitchen is now one of our favorite “After” pictures ever. What does your dream kitchen look like? Contact us today to start planning for your own dream kitchen. We can’t wait to make it just perfect for you and your family! 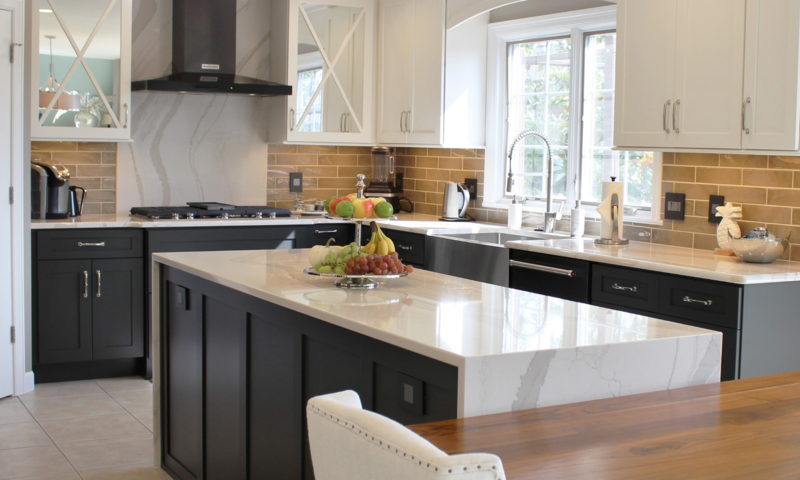 You have decided to invest in beautiful stone countertops… now what? The good news is that selecting your stone can be a fun part of the process. 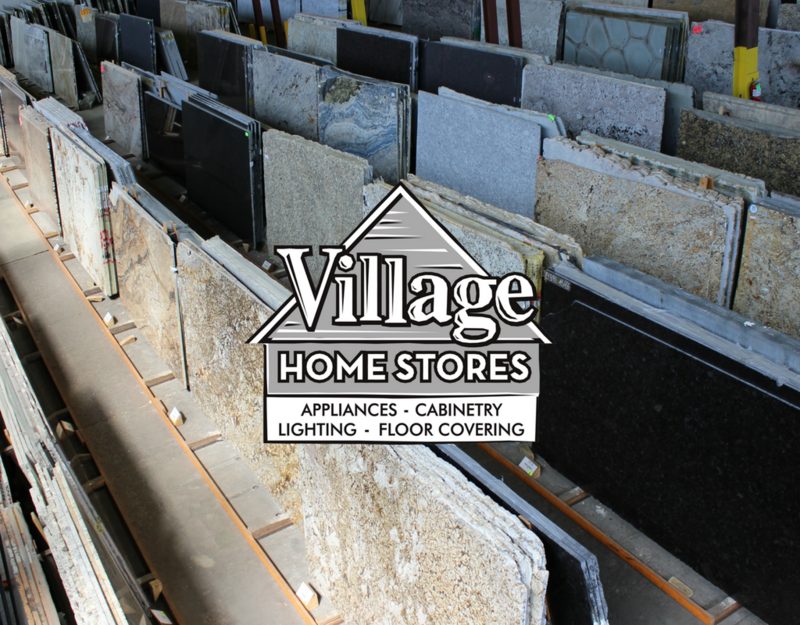 Village Home Stores is not going to send you on an epic journey to Chicago or Des Moines to select your stone, instead we will send you to Epic Stone in Davenport, IA. We are so very lucky to have such a large selection of materials without a long drive to see them. Epic Stone, LLC is the warehouse that our countertop fabricators purchase the material from for your project. They open their warehouse to our customers so that you are able to select the exact slabs of stone your tops are made from. What should you have with you when you visit Epic Stone? It is best to come prepared with whatever you have available for your project. Backsplash and flooring samples, cabinet stains, or other important finishes that may help you select your stone. Epic will ask your designer’s information so that material amounts and fabricator information can be included on a tag once you have selected your stone. Your designer will be able to tell you how many slabs of material your project requires. You do not need to have your kitchen or bathroom layout with you. Keeping an open mind as you walk the aisles is most important. Bring a camera or have you smartphone or tablet ready to take pictures of favorites and labels during your visit. There are so many stones to choose from. You are able to browse a gallery on their website and following them on Facebook gets you immediate news of new materials coming in. The Name of the stone is important to note as some colors have many variations of the same name and this may change the price and color if the wrong name is given. The label shown above indicated that we were looking at a slab of “Super White Brushed” “Brushed” is important to note in this case because these slabs of “Super White” are not a polished, glossy stone and are priced a full category higher because of the “Brushed” finish. A price category is indicated in the bottom right hand corner of the label. Categories range from 1 on up to the high teens. The lower the number, the lower the cost. Your salesperson at Village will get the full estimate together for you, they just need to know what category you have selected. Another element to the material labels is the origin of your stone. This is what makes natural stone so amazing and unique. The stone slabs you see at Epic are mined throughout the world. How wonderful will it be when someone visiting your home asks what the name of your stone is and you can reply with a name and location from where it came? Epic Stone, LLC is located at the bottom of North Division Street, in the former Franks Foundries complex. The warehouse is a gigantic warehouse of stone slabs, so it is cold in the winter months and can get very hot in the summer. Dress prepared for the current temperature. While they have open hours, it is always best to call ahead to make an appointment. This makes your time spent at Epic more focused. Materials change so frequently so making an appointment also gives you the opportunity to ask if colors you are considering are there. 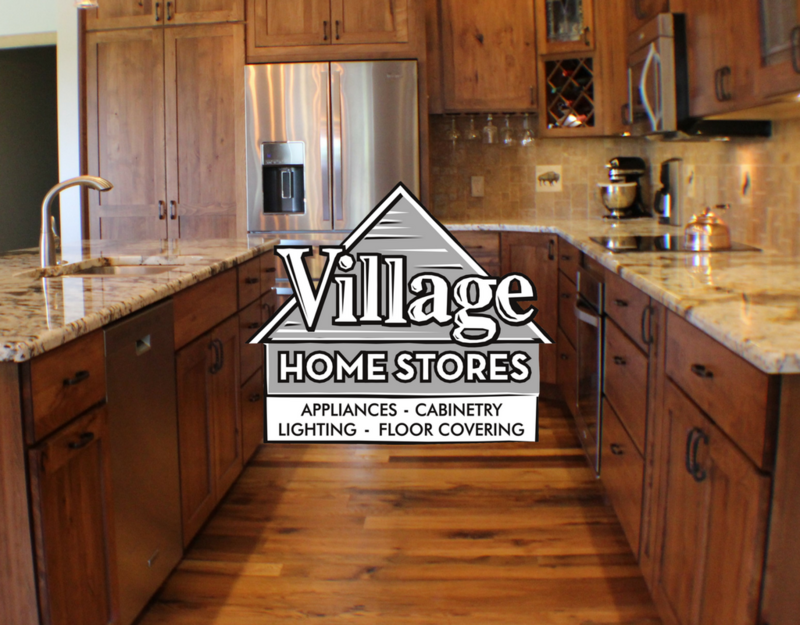 If you are just starting the process of shopping for granite or marble countertops for your home, your first step is to contact a designer at Village Home Stores. You can do this via our website or call us at (309) 944-1344. Your designer will walk you through the process from estimating to installation. We have selected the best fabricators in the area who are experts in their field of manufacturing, installing, and seaming your tops. Maintenance of natural stone tops is minimal and we wrote a short post about it here for your reference. Natural stone is a fantastic choice and a material that is timeless and rich in history. 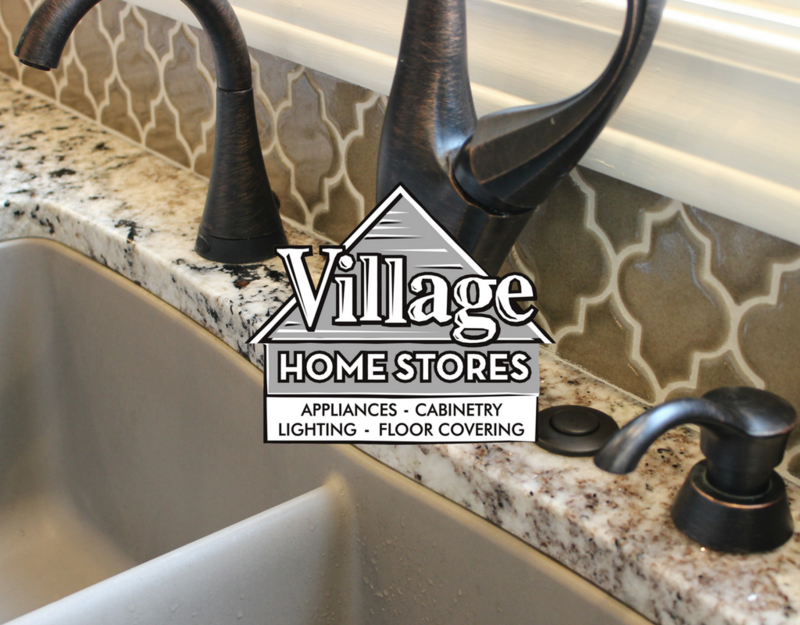 With Village Home Stores and Epic Stone, LLC your stone countertops will look great for years to come. This beautiful home in Lynn Center, IL came with spectacular views of Illinois countryside out of every window. The kitchen at first glance looks like a space right out of a magazine but open a few doors and drawers and this kitchen also reveals some amazing storage secrets! This rustic finishes in this kitchen add a lot of texture and character to the space but keep the whole room warm and inviting. Full-overlay Rustic Beech cabinets in the “Briarwood finish sit in a great room that connects to the Dining and Living spaces. Full-extension soft-close drawer guides and soft-close hardware on the doors make this kitchen beautiful and functional. Let’s start a tour of the space by revealing the secret kept behind those tall doors to the left of the refrigerator. A matching walk-through pantry front has been installed and behind them is a hidden pantry space anyone would love! Plenty of open shelf space for dry goods, paper products and even cleaning supplies. A motion-sensor light has been installed so that the space lights up when the pantry door is opened. The expected cabinet upgrades like a pull-out wastebasket and large pots and pans drawers are included in this space but there are a few other specialty cabinet worth mentioning. This corner cabinet has been upgraded to a “Super-Susan”. Replacing the center pole susan style with a fixed center shelf and a revolving tray atop it that allows for full use of the space and no opportunity for items to fall off and go missing in the back corner. Another one of our favorite parts to this design can be found in the area above the refrigerator. Inset doors above can be slide into the cabinet to reveal an area for a flat-screen television. A built-in wall oven has been installed below the counter with a smooth electric cooktop above. By installing these two built-in appliances in place of a freestanding electric range, a truly custom look is the end result. The oven door sits back flush with the cabinet doors. Whirlpool has recently redesigned their oven doors to include a wider glass “panoramic” window. Did you know that opening the oven to check on items in place of just flipping on the light changes the temperature by around 25 degrees? Nobody like a coffeepot taking up space on their counter. The Brew Express countertop coffee system installed into this kitchen adds another custom element to this space. This system (available at Village Home Stores) recesses some of the components of the coffeemaker into the wall and leaves just half of the unit exposed. We get excellent feedback on these systems and can arrange for them to be installed for you. Stemware holders installed below the wall cabinets keep glassware within reach for entertaining and also offer a unique way to display your items without taking up shelf space. Decorative glass inserts have been added to the corner and ending wall cabinet doors adding an artistic craftsman touch and an area for items to be displayed within. The “Vintage” granite counters in this kitchen are perfect! Great natural characteristics and just a little but of added sparkle and flair throughout. Have you seen anything in this kitchen that you would love to work into your new space? These are just a few examples of how our designers can work with you to maximize your space to fit your lifestyle. Get even more ideas for your project over on our Pinterest boards and see a full galleries of photos from this project visit our Houzz profile. The first step to your great new space is setting up an appointment. Contact us today so start the conversation.